Collections allows you to create a “stack” of related artifacts. Any item(s) you add to a collection will be housed underneath the initial artifact. 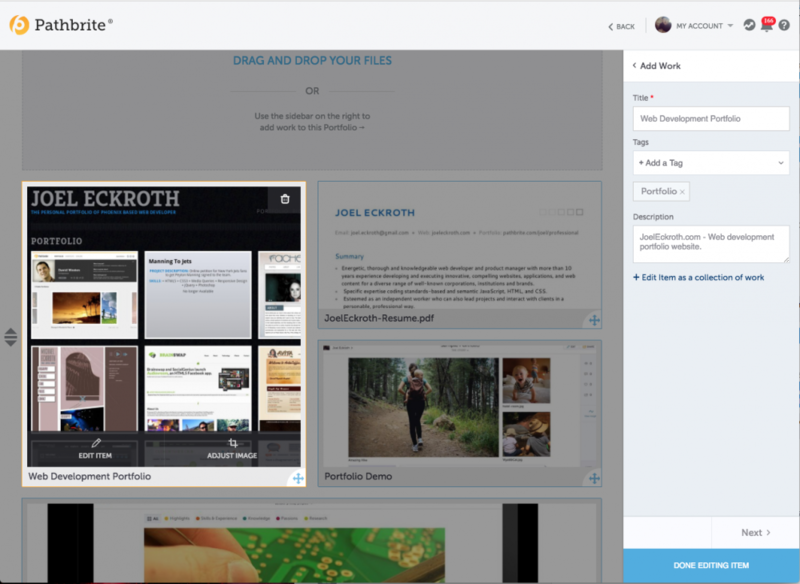 For example, you might upload a project and add multiple drafts of it as a collection. This way, you can give context to your work, without having multiple iterations of the same piece on your main portfolio page. You might also think of Collections as being able to create mini-portfolios within your portfolio.